It's been another weird week in retail. Crocs gets a goth makeover, Patagonia may shake up Wall Street's wardrobe and retailers reimagine childhood favorites. Retailers this April 1 took full advantage of the pranking holiday: Indochino announced it would begin selling pajamas, Purple said it would offer a 99 cent mattress, and Wayfair and Brooklinen even included pets in the fun. But unfortunately, as much as we wish the following products were jokes, they're very much real. 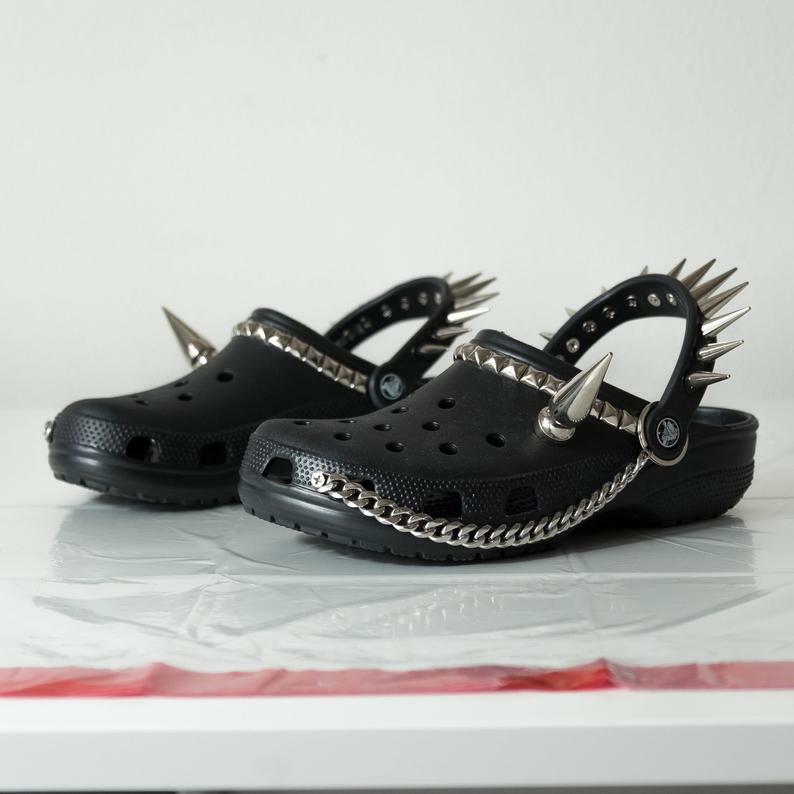 An Etsy shop called HeavyCreamStore is selling goth Crocs — you know, the shoe that's arguably the least intimidating. The shoes, which come in black and are decked out in spikes, studs and chains, start at $250 and run all the way up to $270 for additional ankle chains. We've seen several takes on the shoes — Balenciaga platform Crocs, grass-covered Crocs and Post Malone Crocs. But these are definitely in the running for most hazardous. Patagonia, the maker of camping gear and all things outdoor, has also become a staple in Valleys and Jungles (as in Silicon Valley and the Concrete Jungle). The oxford and Patagonia vest have unofficially been deemed the uniform of the tech and finance worlds. However, the outdoor retailer may be shaking that up. Patagonia this week said it would stop making its corporate logo vests for companies that don't have the B Corp designation — an indication of environmental, social and transparency standards. The company said it will instead focus on "mission-driven companies that prioritize the planet," as reported by Bloomberg. But maybe the move is for the best. It's about time the frat boy look gets traded in for something a bit more appropriate. If we try hard enough, we can still smell the scents of childhood: half-baked brownies from our Easy-Bake Oven, the unique aroma of Play-Doh and a fresh box of Crayola Crayons. Well, thanks to Lip Smackers, we can once again pick up our favorite coloring tool (although this time with a less wax-y scent). 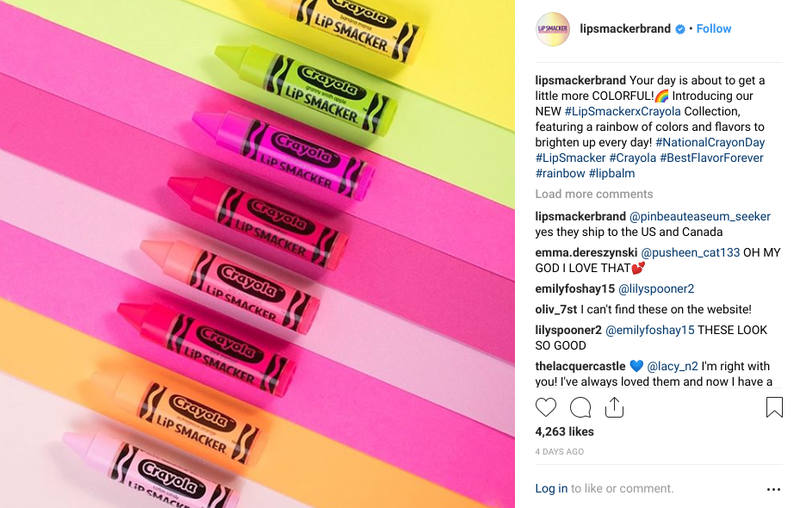 The two companies teamed up for a special collection of Crayola-inspired lip products. However, this isn't the crayon company's first stint in beauty; the company previously partnered with Asos and Clinique. Adulthood can be boring at times, so we'll take any chance to color outside the lines. And another childhood staple, Barbie, returned in the cutest possible way. 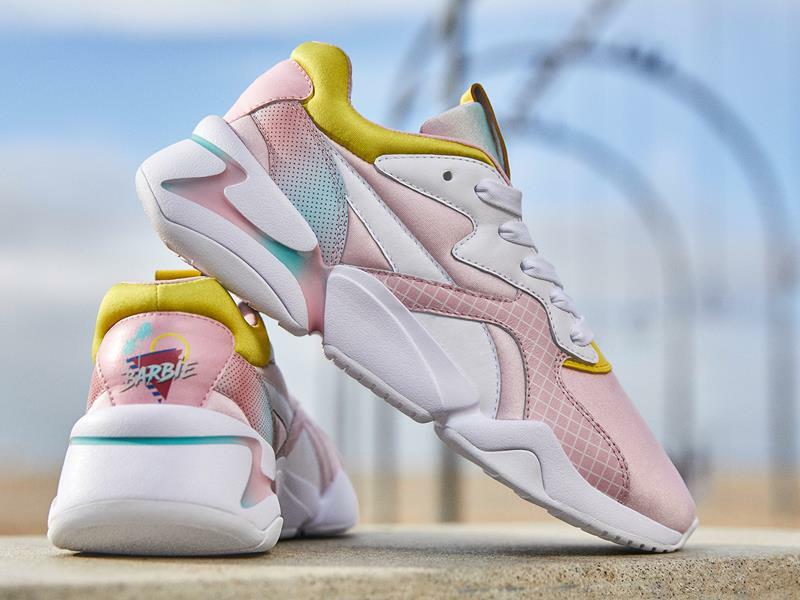 Puma released a collection inspired by the doll in honor of its 60th anniversary. 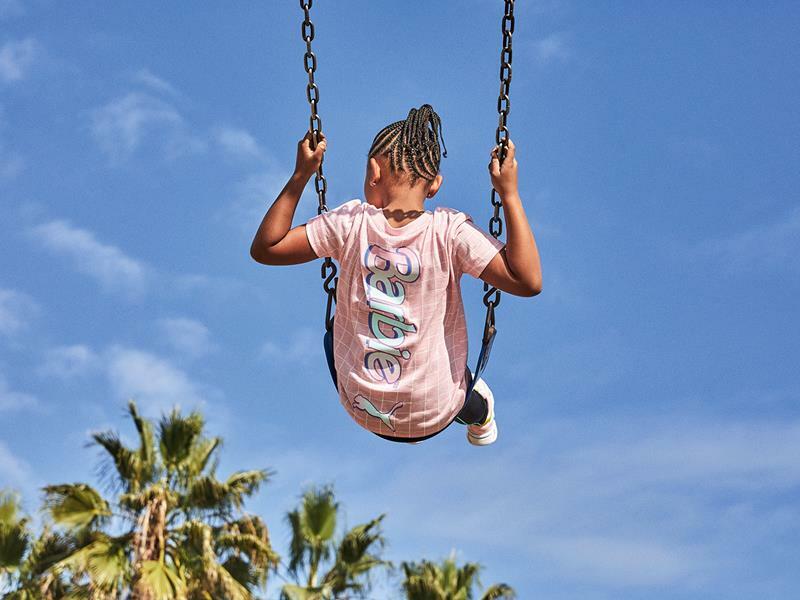 T-shirts, sneakers and leggings all draped in dreamy pastels — a nod to sweet innocence without going total "Life-Size." Score. With everything that's happening in the world right now, we're all for anything that helps us remember the sweet and simple pleasures of childhood. Ever faced the problem of having simply too much money but no idea which nonsensical item to drop it on? Yeah, neither do we. 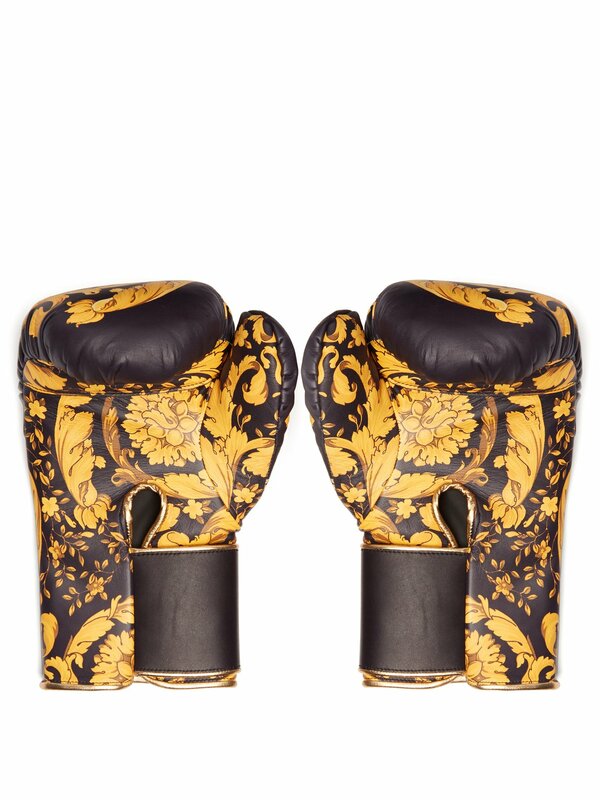 But for those out there that are faced with this dilemma, we found the perfect product: Versace boxing gloves. And don't worry, they're not cheap, either. The black and gold gloves cost $3,739 (naturally). And when those elite do pick up boxing as a hobby, we suggest saving enough money to cover the plastic surgery that'll likely be necessary as a result. If practicality is more their flavor of choice, this company is selling an earring marketed as a pushpin, because well, that's exactly what it is. While the model on the website proudly wears it on their ear, the company made sure to note that it "can also be used as a pin." We can't make this stuff up.